Legislation passed into law in 2014 and fully enacted on January 1, 2015 has shaken-up Mexico’s telecommunications market and effectively made fixed-line telephone calls and internet services from residential lines among the most affordable in the world..
Back in the 1970’s, telephone calls in Mexico were eye-wateringly expensive and the country’s network infrastructure was pitifully limited. When Telmex was privatized in 1990 the network infrastructure and line provision issues were addressed quite quickly, but prices remained stubbornly high. For all its foibles and monopolistic tendencies, Telmex under the ownership of Carlos Slim did invest heavily in the network throughout the 90’s and 2000’s and, as a result of that investment, Mexico today has one of the best developed telecommunications network structures in Latin America—including a robust internet backbone. New technologies which began to take hold in earnest from the mid-2000’s, in the form of mobile phones and especially high-speed Internet, have been loosening Telmex’s grip on the telephone calls market. With mobile phones, people no longer needed a physical phone line, and expensive international calls were replaced by internet services like Vonage, Skype and FaceTime. So by the time the legislators passed new telecommunications laws last year—with teeth capable of chewing through the old politics—technology had already changed the commercial landscape Telmex had inherited as a private company twenty-five years ago. Technology aside, new legislation was necessary to force certain hands and, in the event, has brought-in the biggest pricing shake-up in the history of Mexican telecommunications. In 2014, laws were passed which made it illegal for Telcel, Mexico’s dominant cell phone company, to charge customers for incoming calls when their phones were roaming nationally. All calls are charged as local calls: By legal decree, the pricing regime for ‘long distance’ calls (previously known as LADA, an acronym for Larga Distancia) from landlines was disbanded, effectively forcing telephone companies to price all calls from landlines as local calls. No long-distance cell phone charges: The new law also disbanded the price distinction between calls to local cell phones and out of area cell phones from landlines—so as of now, dialing an out-of-area cellphone from a landline (using the prefix 045/044) is charged as a local call. 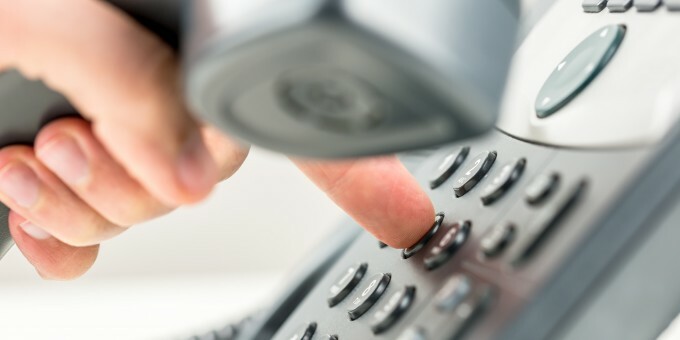 In practice, the law changes have caused telephone companies to include all calls made from landlines to local, national, and cell phone numbers within the price of their packages, which also come with a high-speed internet connection as standard. Telephone companies have gone further and are also including calls from landlines to many international destinations at no additional cost. Administrations as far back as president Vicente Fox (2000-2006) had been banging the drums for reform of Mexico’s telecommunications sector. It was, in the end, the current administration led by president Enrique Peña Nieto that enacted policies which have brought about meaningful price changes to the market and, for the first time in the country’s history, reduced the cost of telecommunications for consumers. * The packages quoted above include Mexico’s 16% sales tax. They are for residential lines only and have ‘fair usage’ policies associated with them, e.g. 1000 minutes per month of international calls. Prices quoted are based on package prices and exchange rates in March 2015. Check telephone companies’ websites for latest prices.